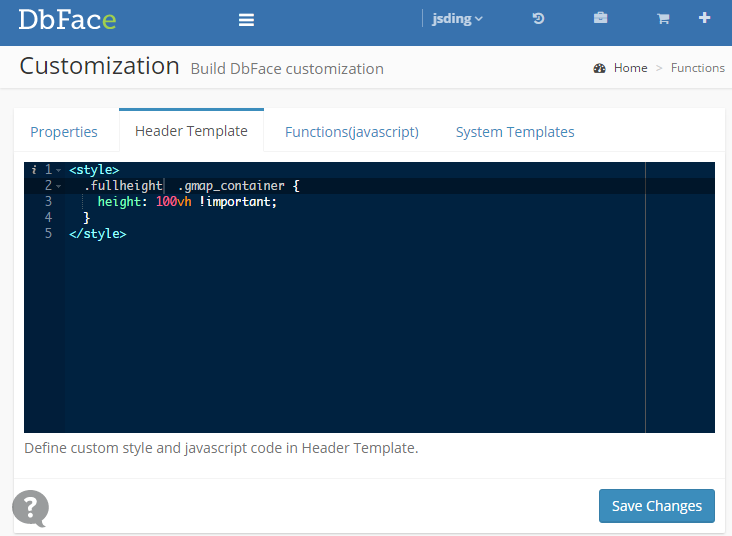 You can define your own style code and apply it to dbface applications. Sign in DbFace with your administrator account(admin), tap "Settings", click "Customiztion", and tap the "Header template" tab. Click the "Save Changes" button to save the header template. You will find the fullheight style is already applied to the Google map application.